If you weren’t one of the few lucky ladies in the world born with flawlessly long, thick, dark eyelashes and don’t want to wear falsies every day, investing in an eyelash curler can help you achieve the lashes of your dreams. 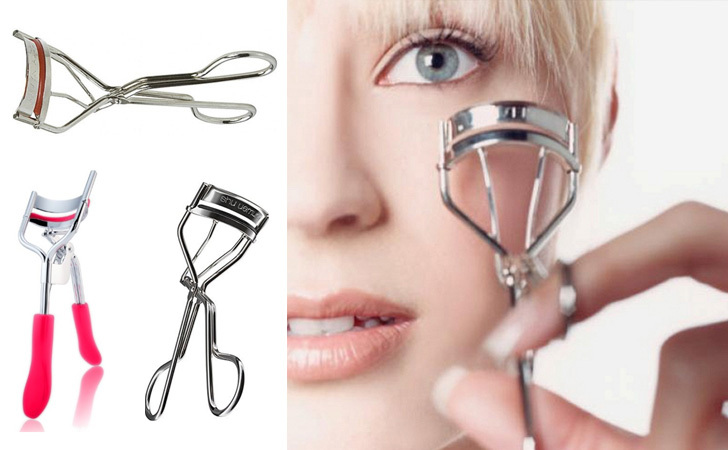 Eyelash curlers angle your eyelashes up so that they appear longer, thicker, and perfectly curled. However, when purchasing an eyelash curler, it’s important to find one that is effective as well as gentle to prevent damaging and pulling out your natural eyelashes. 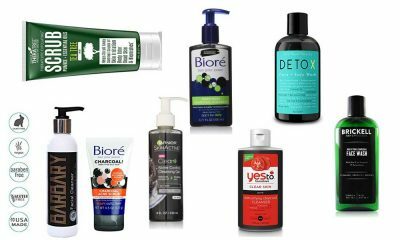 If you’re interested in buying an eyelash curler to transform your lashes without makeup or falsies, keep reading the following Eyelash Curlers reviews to discover the top rated best eyelash curlers available on the market now. Over time, the black rubber insert inside of the curler deteriorates and does not curl your eyelashes as effectively. When this insert begins to run down, it can also damage your natural eyelashes because it does not provide them without the cushion and padded support they need to prevent breakage and pulling. 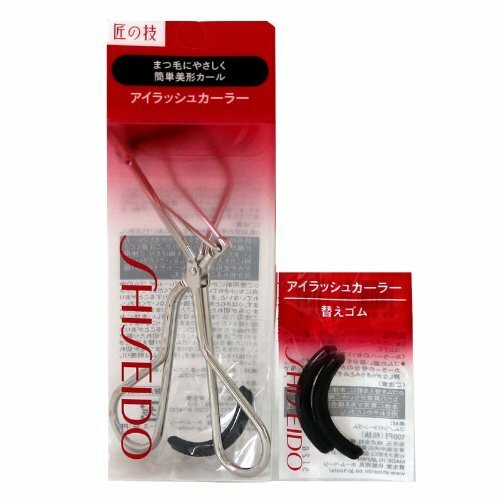 Featuring a metal eyelash curler and a set of two rubber insert refills, this eyelash curler from Shiseido solves the problem of having to go out and buy a new curler when the black rubber begins to deteriorate. When you notice that your lashes don’t seem to be curling as severely or holding their curl as long throughout the day, simply switch out the rubber insert in this eyelash curler with one of the refill replacements to restore your curler to its original condition. Designed with an innovative thick rubber pad in a rounded shape, this eyelash curler curls your lashes at a severe angle without causing unattractive, tell-tale creases. The rounded shape of the pad also helps prevent you from pinching the delicate skin of your eyelid in the jaws of the eyelash curler while curling your eyelashes. 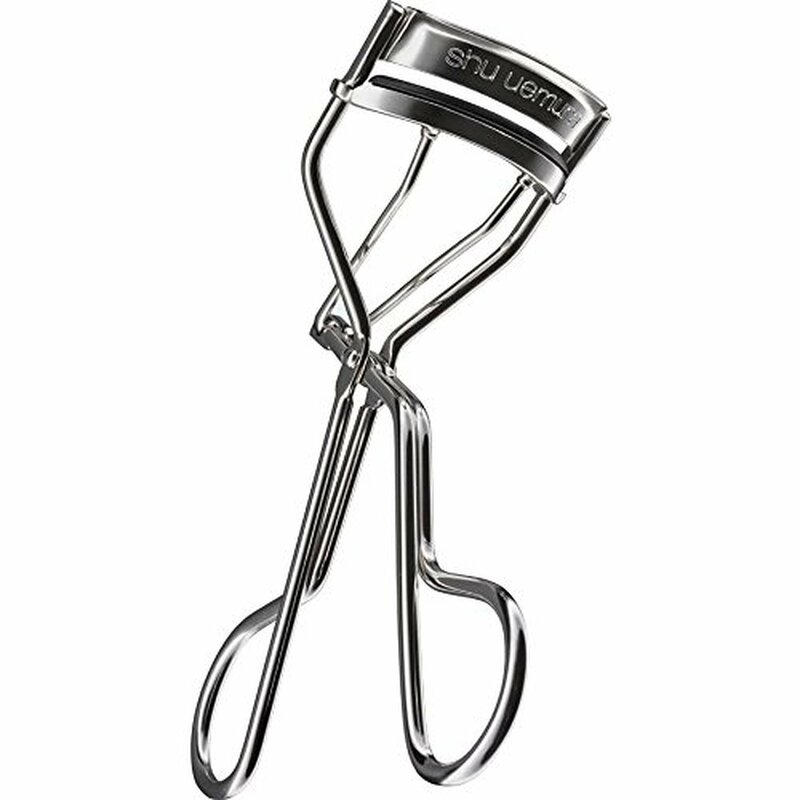 When you use this eyelash curler on your lashes, your curl will last all day long. The curler is designed to provide your lashes with an extremely long-lasting, intense curl that holds until you shower or wash your face. As an added bonus, this eyelash curler comes with three complimentary silicone pad refills to use when the original pad begins to deteriorate. This professional-grade eyelash curler goes above and beyond when it comes to enhancing your lashes to make them as beautiful as possible. Designed with a special built-in comb, it gently separates your lashes as you curl them to prevent clumping and creasing and enhance the look of each and every one of your individual eyelashes. The eyelash curler itself is designed using only materials of the highest quality in order to increase its effectiveness and durability. Its body is crafted from strong and durable carbon steel with a spring-loaded hinge that applies the perfect amount of gentle pressure to your natural eyelashes without damaging them. 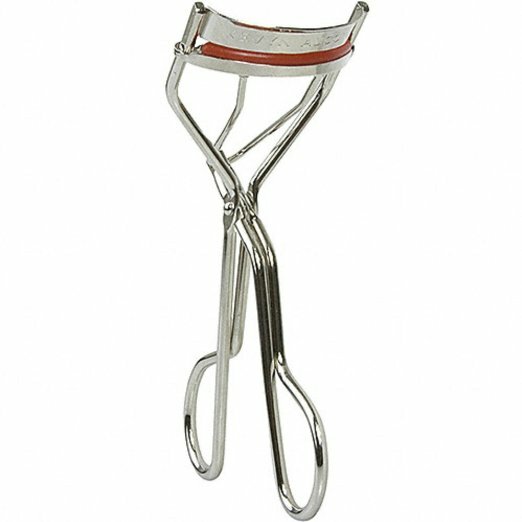 The handle of the eyelash curler is also specifically designed ergonomically to fit comfortably in your hand during use. This eyelash curler from the beloved makeup mogul Kevyn Aucoin has a beautiful, modern design and construction that allows you to effortlessly curl your lashes for a flawless finish. It is crafted from sleek stainless steel that is durable and has a slim, lightweiht design that is easily portable and simple to use. Featuring a red insert pad rather than the traditional black pad, this eyelash curler makes it easier for you to see the position of your eyelashes and make sure they’re in the right place within the curler. Unlike other eyelash curlers, which require you to hold the curler clamped on your lashes for ten to fifteen seconds, this curler provides your natural eyelashes with an intense curl after a few extremely short clamps. This design prevents you from developing creases in your lashes and acquiring a harshly crimped look rather than a flawless, even curl. Built with an untraditional design, this eyelash curler is both innovative and effective. 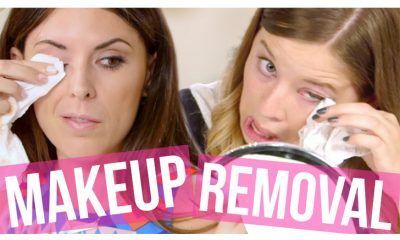 It features a special open cage design that prevents the skin around your eyes from getting painfully pinched within the curler when you clamp it down on your lashes. 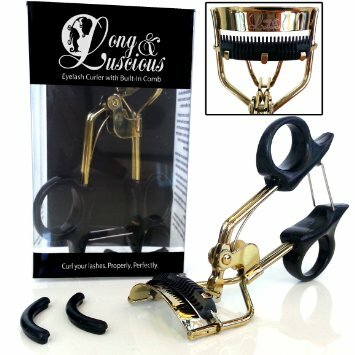 The design of this curler also includes a wide back that flips down in order to provide you with enough leverage to successfully clamp and curl your lashes. To help you avoid buying a new eyelash curler as soon as its original rubber pad loses its efficiency, an extra pad insert refill is included with this curler. For added convenience, the pad insert comes inside the curler so that you won’t lose it and will have it at your fingertips whenever the time comes for you to use it. 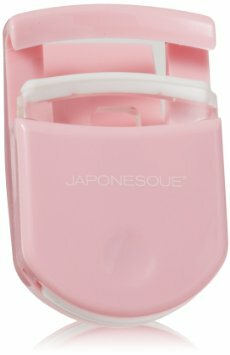 Featuring pink detailing on the handle and a pink rubber pad, this eyelash curler has a cute and girly design that is also extremely effective at flawlessly curling your natural lashes to perfection. Crafted from strong and durable iron plating with ergonomic rubber handles, it is a long-lasting product that fits comfortably in your hands whenever you use it. 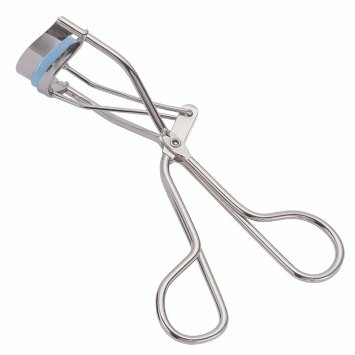 Designed specifically to fit all eye shapes, this eyelash curler is not limited to use only on a certain type of eye and can work for women with all eye shapes and positions. Its rubber pad is extremely soft and gentle, but it also applies enough pressure to provide your lashes with a dramatic curl that lasts all day. 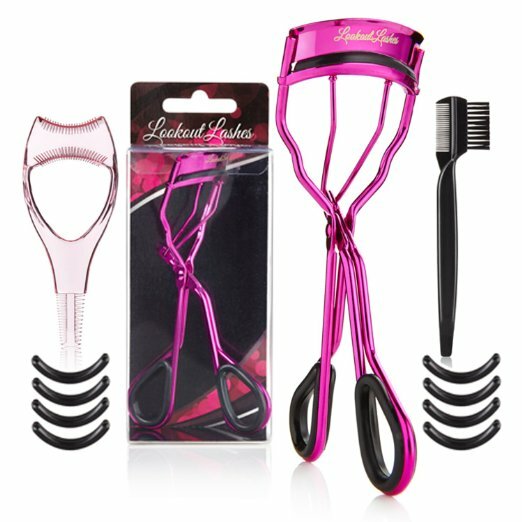 This eyelash curler set from Lookout Lashes includes all the special tools you need to create drop-dead gorgeous lashes. 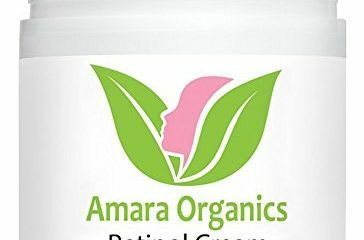 Along with a top-quality eyelash curler, this product includes a mascara guard to prevent raccoon eyes, an eyebrow brush to perfect your brows, and eight individual pad insert refills. Designed to make you look like you’re wearing fake lashes without actually requiring you to go through the hassle of applying falsies, this eyelash curler is a high-quality, professional-grade product. With a wide curling panel and a soft curling pad, it is easy to use and gentle on your lashes. Featuring a special ergonomic design with silicone rubber handles, this eyelash curler from Petunia Skincare is designed with maximum comfort for your hands and fingers in mind. It also features a contoured construction that will not pinch or pull your lashes or the skin around them. This eyelash curler includes multiple complimentary bonus products. It comes with a silicone pad insert refill as well as an E-book guide to using the curler most efficiently to achieve flawlessly curled lashes. This eyelash curler is an instant curling device that efficiently curls your lashes more quickly than any other eyelash curler on the market. In a matter of seconds, you can achieve gorgeous, dramatically curled eyelashes that will hold their curl all day long. The silicone pad insert of this eyelash curler is designed with a special mushroom shape that prevents your skin from getting pinched and increases the intensity and longevity of your curl. The curler’s hinge applies the perfect amount of pressure to your lashes to ensure a flawless and long-lasting curl. With ergonomic handles and a special curved angle, this eyelash curler is comfortable to use and can be used on all eye types and shapes. It even includes a complimentary silicone pad insert refill for added convenience. Eyelash curlers can help you feel more confident about your natural eyelashes by enhancing them and eliminating the need for false eyelashes and endless coats of mascara. 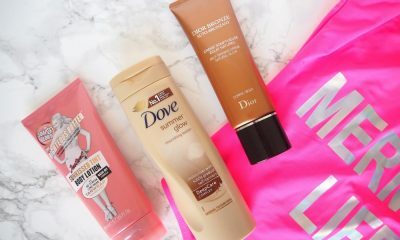 Use the list in this post to find some of the best eyelash curlers that will instantly thicken and lengthen your lash line without damaging your natural eyelashes.